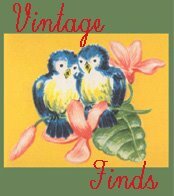 Vintage Valentine Museum: Let's Monkey Around My Love! Let's Monkey Around My Love! 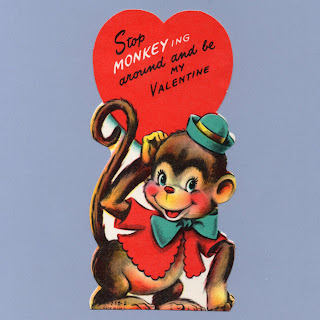 Stop MONKEYing around and be my Valentine! Don't MONKEY with this heart of mine Say you'll be My Valentine. 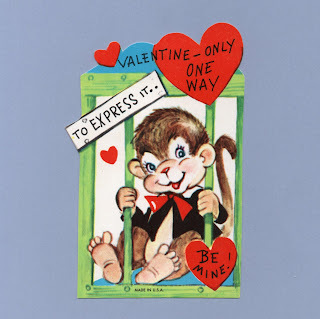 Valentine No monkey shines - I Love You! 2 1/4" x 4 1/8"
We'll have a CIRCUS of fun if you'll ACTcept me for your Valentine. To my Valentine I'm herewith sending my heart to you, special delivery P.D.Q. Meaning no MONKEY SHINES Valentine I offer you choice of peach or vanilla and that oughta prove I ain't no GORILLA! I'm not MONKEYING around! Honest, it's true the best Valentine I've ever found is no one but You! Valentine - Only ONE WAY to EXPRESS it... Be Mine!